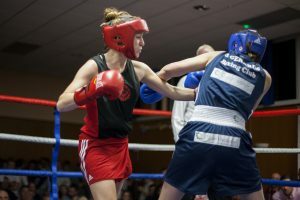 On 12th November the Arena Boxing Club in Bournemouth staged the England Boxing Show – a great night of super competitive boxing. 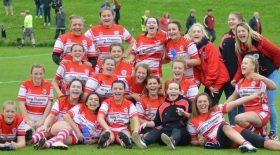 Hats off to All the FANTASTIC boxers that took part, the coaches and club volunteers that made the event run so smoothly. The packed out arena made for an awesome atmosphere, raising the roof and encouraging the boxers to turn out terrific performances. 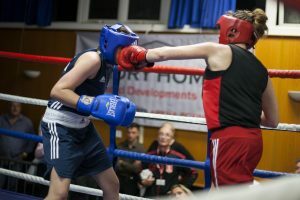 There were a total of 17 blistering bouts involving 10 of the Arena boxers all of whom put in outstanding performances! First up was James Dunne, impressing in his first skills bout with a confident display. Ben Riahi was having his first skills bout for also, showing great determination in his performance. Bailey Ward fought a close enthralling contest with a tricky southpaw opponent and was unfortunate to not get the nod. Flyn Quarchioni, got the crowd on their feet boxing in a incredibly close contest, with Flynn dominating the second round. Luke Anderson fought another good technical battle to Win a points decision against a taller, slick opponent, proving that all the hard work in the gym paid off. Claire Farmer showed great resilience in her contest, winning the last two rounds in champion fashion, to take the points Win. Sam Drake put in a very impressive debut, winning by a TKO in the 3rd round, totally dominating throughout. 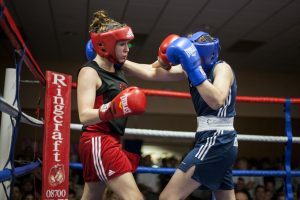 Martina Mercinelli showed more grit, determination and work-rate, shaking off the ring rust to Win a hard fought points decision in her first bout in 2 years. Alexeis Medrano Won his first bout with a convincing points win having sent his opponent to the canvas in the first round and giving his opponent a couple of standing counts along the way, the future looks very bright for this charismatic young man. Finally Alex Jennings was having his first bout in 3 years and proved he had lost none of his skills with a totally dominating boxing performance against a super strong opponent. His terrific boxing earned him a convincing points Win. So overall a magnificent night for our boxers with 7 of our boxers making their Arena debut. Again a massive thank you to all of those who helped make the show a great success, our sponsors, the England Boxing Officials and the super supportive jubilant crowd that cheered on ALL the Boxers that courageously stepped into the ring and gave their all! Meanwhile, Arena’s Raven Chapman has arrived in Bulgaria ready to compete in the EUBC European championships. We wish her every success and hope to have a follow up report. 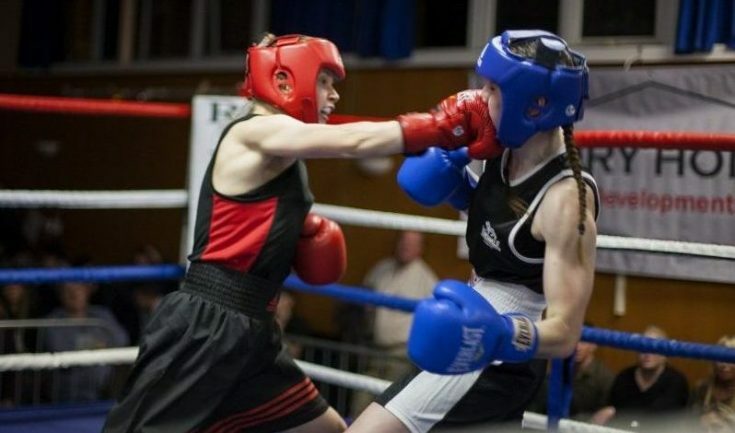 Report courtesy of Arena Boxing Club, Bournemouth and thanks to Angelika Glapiak for the photos.